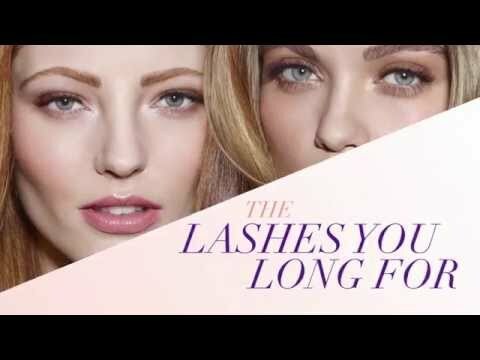 Nouveau Lashes: Express – Strip Lashes. Premium quality, light weight and reusable striplashes - add maximum length and volume to natural lashes for short term wear. Strip Lash Natural / Style 1 builds a clear structure and shape around natural lashes. It also adds in a pronounced flare without compromising the light and casual aspect of a natural look. If you're looking for a fuller natural look try Natural / 2, for a way to add natural looking length try Natural / 3 or for our all round most natural looking silk lash, try Natural / 4. Features professional latex free, non-irritable, low vapour, heat/humidity/sweat/water resistant adhesive. #protip - Try our oil free, kind to eyes Eye Make-Up Remover to remove make-up without removing your strip lashes, allowing for longer wear.